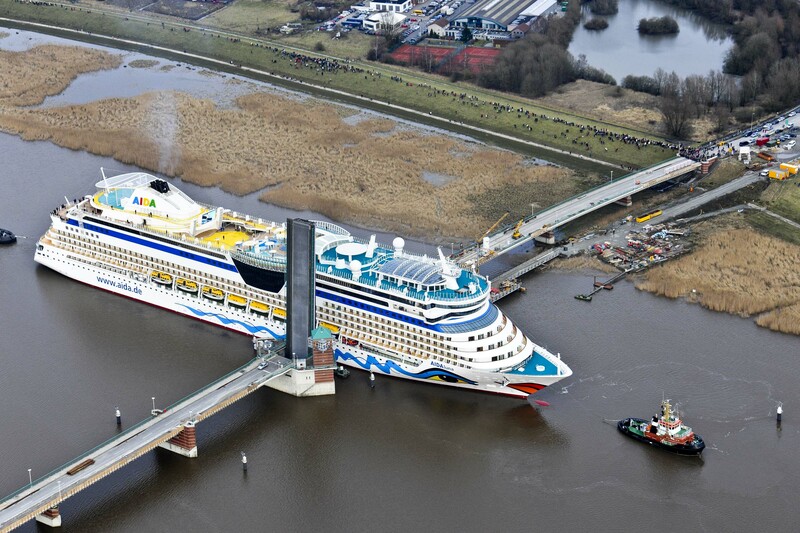 The restricted width offered to shipping by the raising of the Jann-Berghaus Bridge in Germany posed a serious challenge to newly-built Meyer-Werft luxury cruise ships entering the Ems River on route to the North Sea. 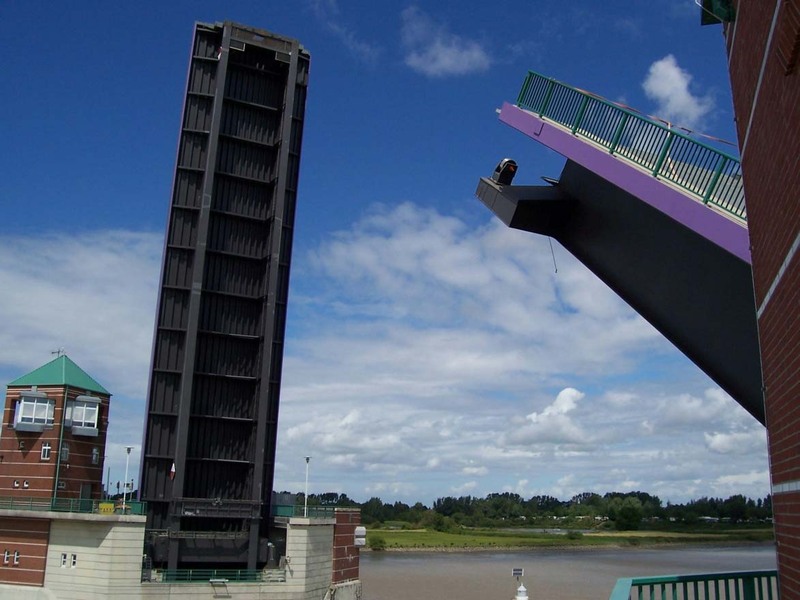 However, Parker Hannifin provided the solution to this problem using a customised hydraulic system to precisely control the opening and closing of an additional folding bridge mechanism both quickly and safely. The construction work has increased the passage width from 40m to 56m, providing enough extra space to allow the large cruisers through the bridge safely, quickly and unhindered. To achieve this ambitious engineering feat, Parker supplied the main components of the control system for the hydraulic movement of the second flap function. 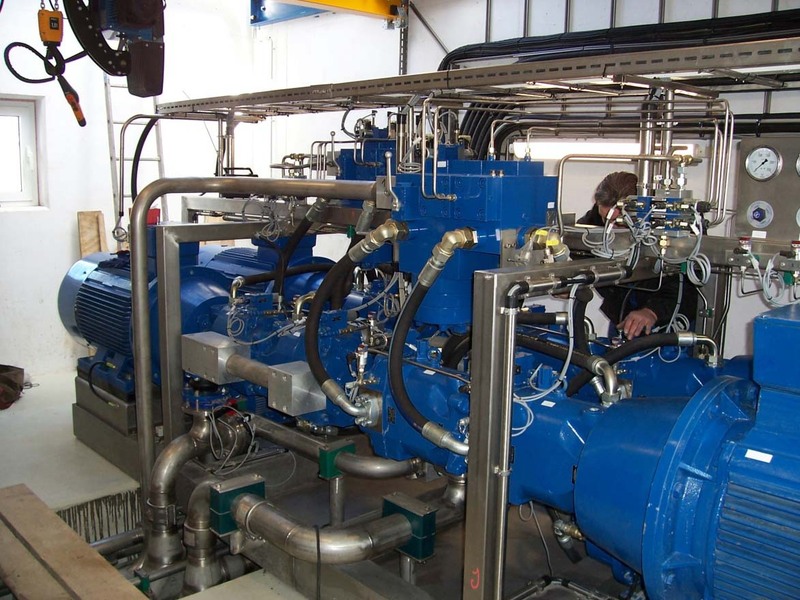 Key items included two large cylinders, hydraulic pumps and connection and directional valve technology to achieve a drive performance of 4x110KW. The additional flap is opened and closed with two customised cylinders built by Parker to the customer’s specifications. Each cylinder has a piston diameter of 485mm and a piston rod diameter of 280mm, and provides a stroke length of 6100mm. To deal with the rough conditions created by wind, water and salt spray, and ensure the best corrosion protection, chrome-plated stainless-steel piston rods were used. During the extensive development phase of the two unique cylinders, Parker worked closely with bridge engineers using advanced Finite Element Analysis tools to calculate the exact parameters for load and strain forces. The cylinder design was also analysed specifically for threshold loads. The Parker cylinders have internal path measuring systems that calculate the precise stroke position in any folding bridge position to permit continuous monitoring of the opening and closing processes. Due to the sensitive location of the bridge, the hydraulic circuit is designed to use non-hazardous bio oil to minimise environmental impact. In addition to the large cylinders, the adjustable Parker slanted disc axial piston PV270 pumps can achieve high performance even under the most difficult of application conditions. The precision p-Q-control function is another powerful component of the hydraulic drive system, opening the new bridge flap in just 90 seconds using applied pressures of 7200kN with a maximum displacement of 1,800 litres per minute at full load capacity. All the materials and components used by Parker ensure the hydraulic system performs reliably even during the most demanding conditions as well as providing characteristically long service life and high durability. Certification by Germanischer Lloyd ensured that the components met the high demand of technical hydraulic steelworks plants. The impressive 464m-long Jann Berghaus bridge – named after the President of the Eastern Frisian landscape – now has two folding gates spanning 78m and is the second largest folding bridge in Europe.